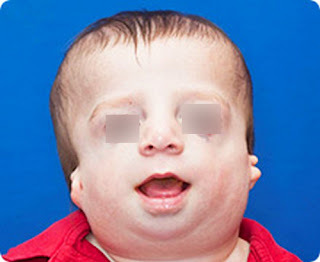 Picutre 1: A child with Treacher Collins Syndrome (TCS). Picture 2: TCS, an inherited condition as shown an image of a parent and a child with treacher collins syndrome. 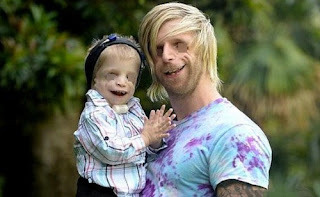 Picture 3: A severe form of treacher collins syndrome. Picture 4: A closer look on the cartographic image of a child with treacher collins syndrome. 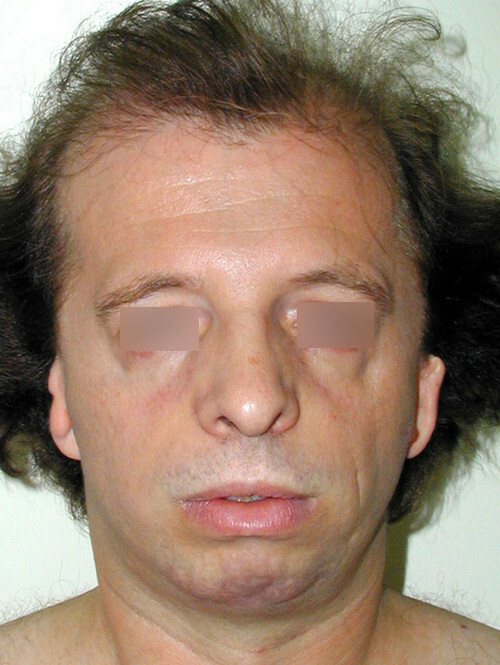 Picture 5: An adult with treacher collins syndrome. Picture 6: A patient with treacher collins syndrome post surgery. 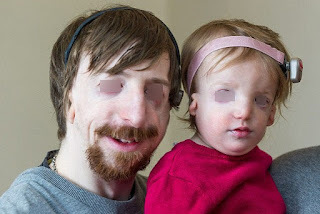 The severity of treacher collins syndrome symptoms varies from one person to another. Some people may be mildly affected while others can be severely affected. 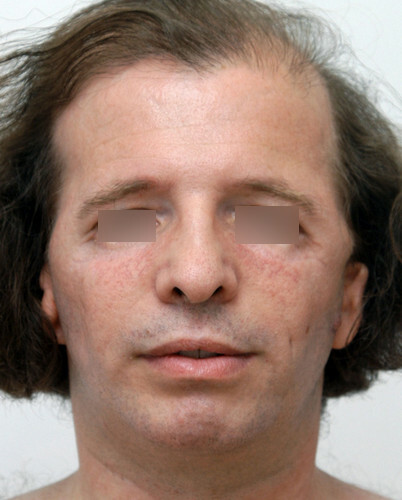 Is there a treatment for treacher collins syndrome? Unfortunately, there is no exact cure for Treacher Collins syndrome. What medical experts can offer is symptomatic relief that is apparent to each person. 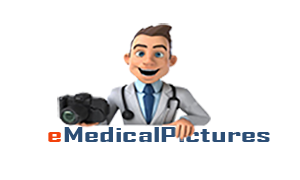 The patient's case is handled by a team of healthcare professionals including pediatrician, surgeon, ophthalmologist, psychologist, and allied healthcare workers. The patient's condition is closely monitored to check for any abnormalities that are associated with the disorder. Early intervention is a must to make sure that the patients with Treacher Collins syndrome will be able to reach their potential. Other supportive approaches include speech therapy, social support, and genetic counseling.